On this page we will keep you informed about our free dual language books, publications or special promotions. 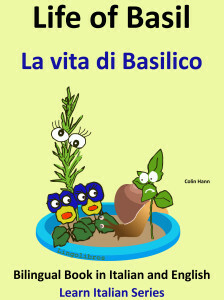 We have released the “Life of Basil” which tells how our little friend Basil came to live in the flowerpot with Rosemary and the Sisters. Available in English – Spanish, English – Italian, English – German, English – Portuguese, English – Greek. 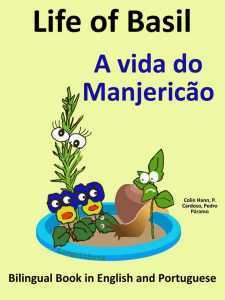 This illustrated story is for bilingual children and Portuguese language students with a basic or intermediate knowledge who want to read a dual language text in English and Portuguese. 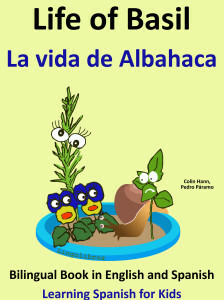 This illustrated story is for bilingual children and Italian language students with a basic or intermediate knowledge who want to read a dual language text in English and Italian. This illustrated story is for bilingual children and German language students with a basic or intermediate knowledge who want to read a dual language text in English and German. This free bilingual book is for children and Greek language students with a basic or intermediate knowledge who want to study a dual language text in Greek.